Detail Waxing is considered one of the most tedious parts of washing your car, RV, boat, or anything in general! RBL's Detail Wax kit has put an end to that ideology. 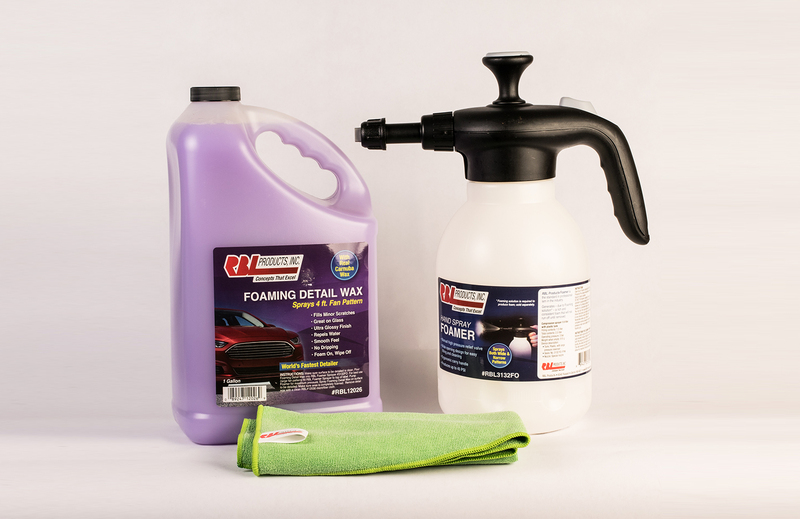 It contains our Foamer Sprayer, 1 Gallon of our Detail Wax, and one of our top of the line Microfiber Cloths. It makes quick work of whatever you throw at it and leaves a sparkling result. You won't ever feel the same about waxing again! Made with Real Carnauba Wax!